Are you new to boxing and don’t know where to start? People come to boxing for a variety of different reasons and goals. Some come to the sport as a tool for self-defense, others come for fitness, and some have aspirations to compete. Boxing is a great workout, perhaps the most challenging of all sports. It requires speed, agility, finesse, power, endurance, and ultimate mental toughness. Boxing pushes you like no other, pitting the finest and highest level athletes against each other. It’s the sweet science but at the same time also a raw and brutal sport. More importantly boxing takes you further than you ever thought possible. Boxing makes you more alive than ever, more humble in defeat, and most glorious in victory. Boxing reveals the true fighter deep inside every single one of us. Introduction / What is boxing? Is boxing useful for Self Defence? Is boxing right for women? How long before I am competent in boxing? I have never done a martial art before can I still do boxing? Can you still do boxing if you are overweight and unfit? What is the risk of brain trauma? Download and begin your Boxing journey. 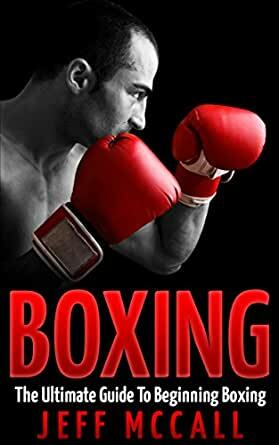 5.0 out of 5 starsGreat book for boxing beginners and alike! The details of this book for boxing is really awesome! The fact that the author took his time and provided every definition and techniques that you need to know about boxing before giving out the great things famous boxers did. I also liked the historical part of boxing, I never new how long it took to actually became "boxing" the mere fact that it's just the 1980's wherein female boxers were aloud to participate in the sport is really new to me. Boxing is a brutal sport. You need to hit the opponent with your fist and vice versa. It is also a vigorous exercise that needs intense concentration. I never knew about intense concentration not after I read this book. I also learn a lot from reading this book such as the fact that boxing improves agility. I also get to learn the different types of box that boxers use. It is interesting to learn new information about something that others are so passionate about. I get to appreciate those who love boxing such as my grandpa after reading this book. Guide doesn't go into depth on boxing. Simple leaflet sort of informational piece. More details on the sport of boxing would have made this book more viable. 5.0 out of 5 starsGreat book, short and sweet! I became interested in boxing because some of my close friends have taken up the sport. I’m not really into it but I wanted to learn more about it. What I found very useful was that the book had videos to help with learning some boxing techniques. I recommend this to any beginner! The book was very basic and did not go into regulations and equipment very much. It's a great book for someone who just wants a very summarized explanation .